the inside in perfect condition. The word Paris was printed out on a laser printer in reverse. I cut around the word then coated the image with Modge Podge. 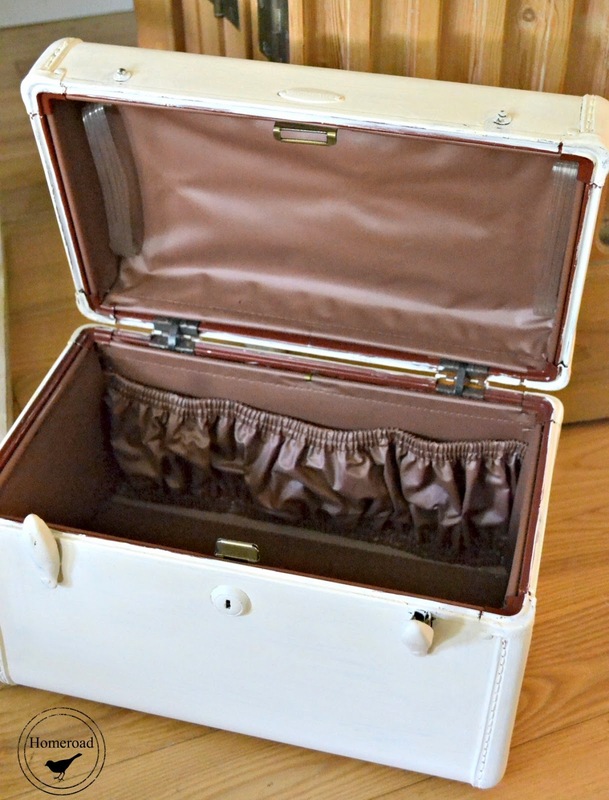 When the Modge Podge dried, I re-wet the paper and rubbed off the backing, leaving the perfect image on the suitcase. 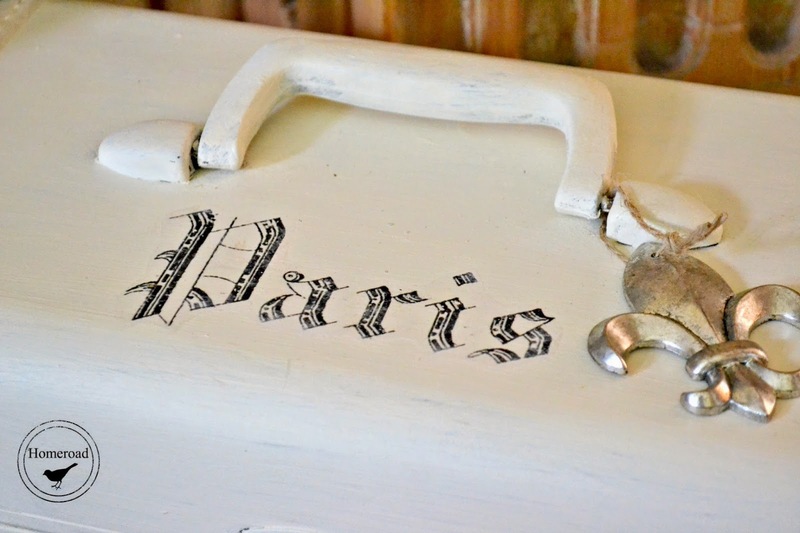 I waxed the suitcase with clear wax, then added a metal fleur-de-lis to the handle. 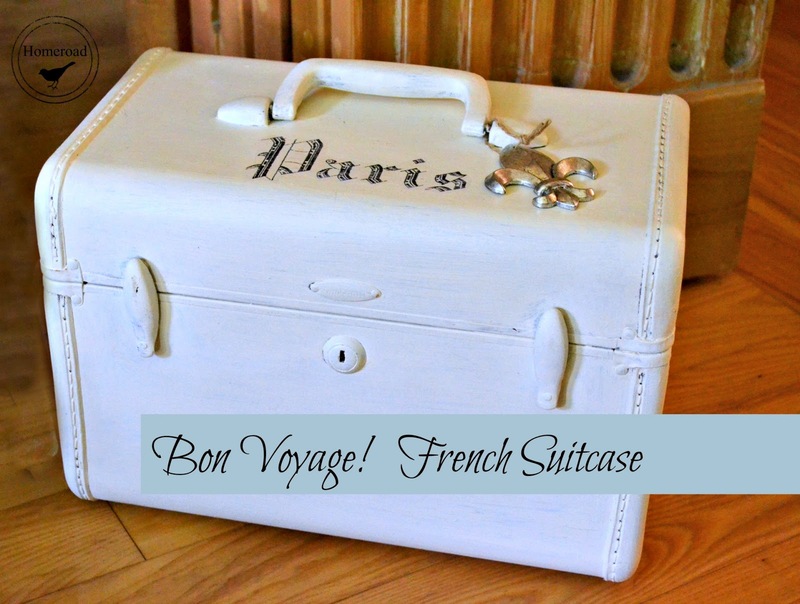 Make-up, hair brushes... all in a stylish French storage box. 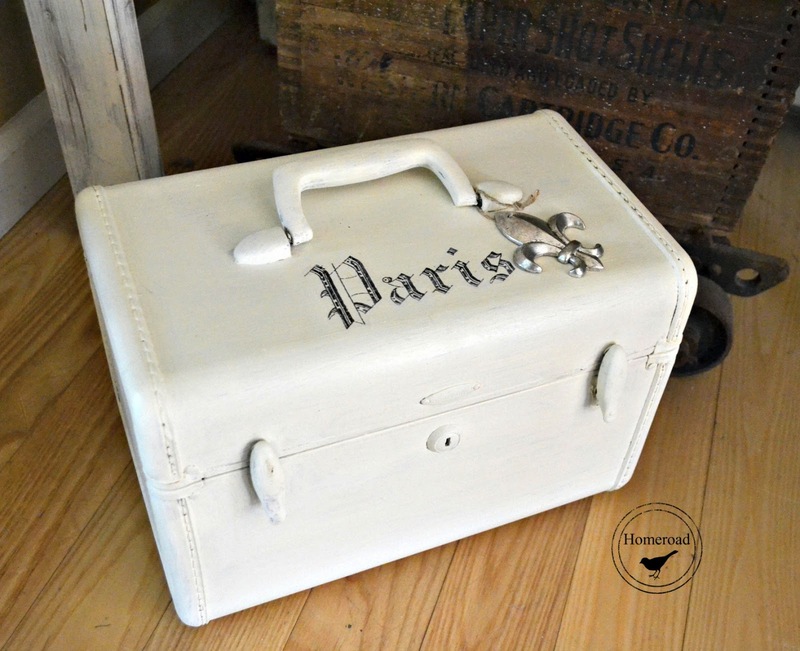 Update: This cute little suitcase sold in no time! 📬 Before you leave please sign up for the Homeroad emails for DIY projects sent straight to you! Perfect! But not sure I'm getting this... you mod podged ONTO the suitcase? And then wet it ON the suitcase? Is that correct? Great makeover and great find! So clean inside! I need to give this another go. I tried last year and I never posted the little box I did because you could still see paper. Yours looks flawless! I am not surprised it sold so quickly! It was such an amazing item. Great work on the outside.